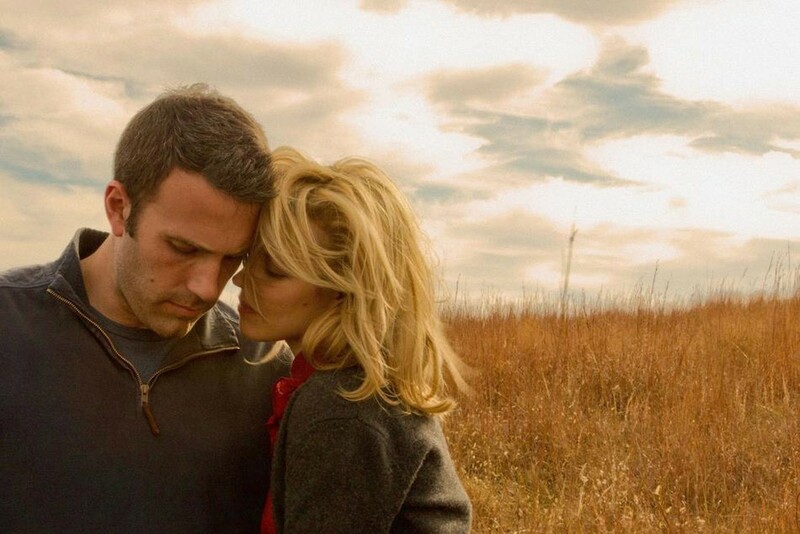 Ben Affleck and Rachel McAdams in "To the Wonder." Terrence Malick is a polarizing filmmaker. Some people respond to his works, in all their enigmatic glory — dreamy, abstract narratives told though hushed, half-conversations, weighty ideas contrasted against a fascination with the natural world and, always, endlessly expansive shots of sunsets. Others find his work pretentious and dull. Generally speaking, I would label myself a fan, but even I found his latest, "To the Wonder," to be a bit of a ponderous slog at times. It's not that there isn't much to admire in the film; there is. But this time around, the ideas that Malick appears to be wrestling with feel wispier and more ineffable than ever before. They dissolve in the mind, leaving viewers with nothing to latch onto, or to make us care. The major characters in the film are an American named Neil (Ben Affleck) and a Frenchwoman named Marina (Olga Kurylenko) who meet while Neil is abroad in Paris and fall in love. He convinces her, along with her young daughter, to move back with him to Oklahoma, where they attempt to make a life together. We watch as they fall in and out of love, then back in and out again once more, and on and on. There's an interlude during one of the couple's lengthier separations when Marina returns to Paris because her visa expires, and Neil begins seeing another woman, Jane (a criminally underused Rachel McAdams), his childhood sweetheart. There's also a priest, Father Quintana (Javier Bardem), who is going through a crisis of faith, and he ties in, but only sort of, and in a way acts as the conscience of the film. He has a connection with Marina only in the sense that they share the loneliness of being foreigners living in a strange land. Neil and Marina's story feels as though it is being told exclusively through the moments between the moments that define their relationship. Dialogue is extremely sparse; Malick might as well have made a silent film. We see the couple argue, sometimes violently, but we never hear what they're quarreling about. They constantly shift between tender caresses and shouting matches, with an awful lot of frolicking and twirling in between. I assume it's all meant to show the lows and the glorious highs of being in love, but mostly it makes them (Kurylenko's character in particular) come across as bipolar. Affleck's Neil is such a blank that it's impossible to know how we're supposed to feel about him. We learn so little about these two people that it wasn't until the credits rolled that I realized the characters had even been given names. Both actors do as well as can be expected playing abstractions instead of fully developed characters. The film is, at its essence, a visual tone poem about love, in all its myriad forms and complexities, and the ways in which a person's spiritual and emotional wellbeing is reflected in the ways we interact with the world around us. Or something. Malick alludes to these ideas through image and sound, and it truly can't be overstated how lovely those images are (cinematographer Emmanuel Lubezki, who also photographed Malick's "The Tree of Life," once again delivers Oscar-worthy work). 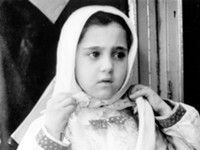 But instead of that beauty serving as a portal for the audience to enter into the world of its characters, the film feels cold and distant with a sometimes oppressively melancholy tone. Supposedly performances from Jessica Chastain, Rachel Weisz, Amanda Peet, Barry Pepper, and Michael Sheen were all left on the cutting-room floor, but the film still feels lengthy and could have done with even more streamlining. Possibly some of that frolicking and twirling. I'm perfectly fine with a filmmaker leaving things open-ended and refusing to provide any answers, but there has to be something concrete to grasp onto aside from the pretty pictures. It's possible to tell the story of a relationship through an abstract, disjointed narrative if you care enough about the characters themselves to feel invested in their relationship. Michel Gondry proved this with "Eternal Sunshine of the Spotless Mind." Gondry made us care what happened to the couple at the heart of his film, and we truly mourned when things didn't work out between them. Malick's love story, on the other hand, doesn't exactly make for an emotionally satisfying viewing experience. I realize all of this has made it sound as though I think "To the Wonder" is a bad film. The movie works precisely as it was meant to, so it remains a sometimes fascinating experiment, worth seeing for its moments of brilliance and stunning imagery (it will look fantastic on the big screen). But ultimately it's one that's likely only to appeal to Malick's most diehard fans.